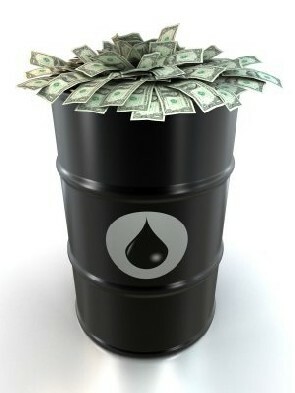 Crude Oil Daily: Ghana earns $1.4 billion in oil revenue. Ghana earned $1.4 billion from the commercial production and export of oil from 2011 to June 2013, the Minister of Energy and Petroleum, Mr Emmanuel Armah Kofi Buah, has said. He said 77 million barrels of oil had been produced as of September 10, out of which about 13 million barrels, representing Ghana’s share, went to the Ghana National Petroleum Corporation (GNPC). The government invested the revenue in infrastructural development and other agreed purposes. Speaking at a stakeholders’ forum on energy and petroleum revenue management in Takoradi yesterday, Mr Buah said the country earned $444.12 million in 2011, $541.07 million in 2012, while $422.76 million had been accrued as of the end of June 2013. He said the Jubilee partners commenced the commercial production of oil in November 2010, producing 25,000 barrels per day, which increased to 80,000 barrels per day in October 2011. The minister said while the partners expected production to increase further, the oil field rather experienced production decline from 80,000 barrels per day in November 2011 to 63,000 barrels per day in July 2013. Mr Buah said the GNPC and the Jubilee partners had successfully carried out remedial works which had arrested the premature production decline and had since increased production to 110,000 barrels a day. "This improvement is as a result of a successful acid stimulation operation performed on five of the nine Jubilee production wells,” he explained. The country’s oil output was set to further increase with the recent signing of a plan of development for the Tweneboah, Enyenra and Ntomme (TEN) project and ongoing negotiations for the finalisation and signing of a plan for the development of the Sankofa oil and gas fields. Mr Buah said the reduction of risk associated with oil production had resulted in an upsurge in investor interest in the country. He said apart from 23 new oil discoveries, there were eight pending petroleum agreements, two of which were currently before the Cabinet, for oil exploration.